The University of South Carolina has succeeded in hanging on to one of the state’s most talented native sons, as Fort Mill, South Carolina’s Ben Fenwick has announced his intent to swim for the Gamecocks next fall. 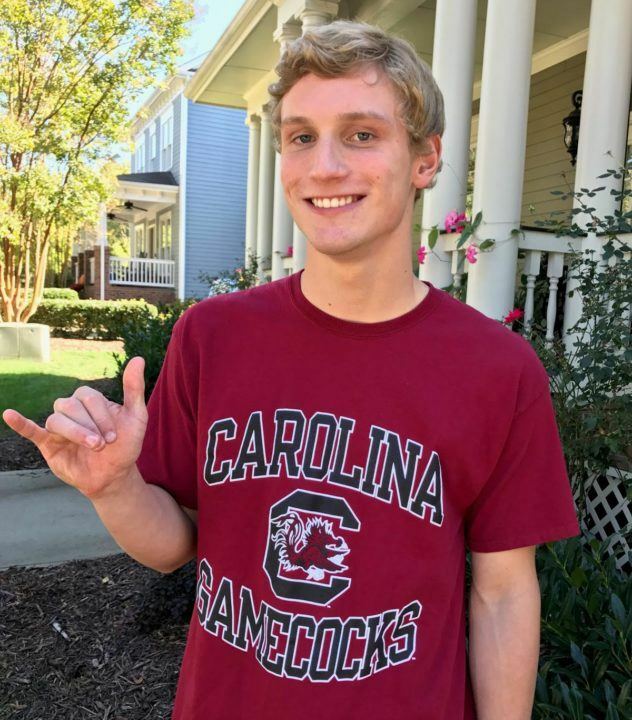 Fenwick is a five-time individual South Carolina high school state champion, having won the 100 free, 200 free, 500 free (twice), and 200 IM; he was runner-up in the 200 free as a sophomore. At the very recent 2017 SCHSL 5A State Championships, Fenwick claimed victory in the 200 free with a new state meet record of 1:40.29. He won the 100 free with 46.51 and contributed to a pair of third-place relays (medley relay and 200 free relay). Fenwick swims year-round with SwimMAC Carolina. 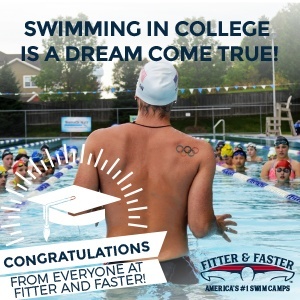 A two-time USA Swimming Scholastic All-American, he specializes in mid-distance free, fly and IM. He was an A finalist in the 200/500 free, 200 fly, and 200/400 IM at Greensboro Sectionals in March. Similarly, he wound up a successful long course campaign with a fourth in the 200 free at Nashville Futures, and C-final finishes in the 100 free and 400 free. The summer produced new PBs for him in the 100/200/400 free and 200 IM. Fenwick will join Alex Wade, Coleman Kramer, Garrison Johnson, Grayson Schroering, Mitchell Gariepy, Nathan Walton, Phil Costin, and Robbie Epler in Columbia next fall.